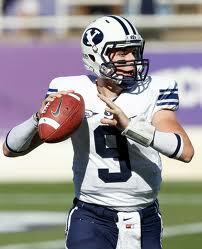 BYU(6-6) 31 The Cougars didn't really miss Max Hall as freshman Jake Heaps passed for 2,052 passing yards. St. Petersburg BowlSo. Miss(8-4) 17 After a dismal early season loss to South Carolina the Golden Eagles are 8-3 led by Kendrick Hardy who has 855 yards this season. Louisville(6-6) 24 Louisville also has a better than stellar ground game led by Bilal Powell and are loaded when the passing game is efficient. 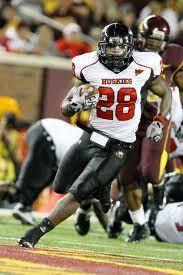 Northern Illinois(10-3) 35 The MAC champs have a back similar to Garrett Wolfe now with Chad Spann(1,293 rushing yards, 20 touchdowns). Fresno State(8-4) 27 Another team with a talented back Fresno State presents speedy Robbie Rouse who might be even better than Ryan Matthews. Ohio(8-4) 20 Ohio deosn't have a stacked offense but they always find ways to win. Troy(7-5) 12 Corey Robinson is a beast for the team but the team isn't quite balanced enough. Las Vegas BowlBoise State(11-1) 42 Kellen Moore will come out and try to prove he should have won the Heisman with a big game. Utah (10-2) 34 Utah tries to keep a long bowl win streak alive but unless Brandon Burton and Seaver Siliga can star on defense it will be tough. Poinsetta BowlNavy(9-3) 28 Underrated passer and rusher Ricky Dobbs will be the reason Navy wins their 10th game of the season. Hawaii(10-3) 38 The Rainbow Warriors won 10 games because of their pass game led by Bryant Moniz who had 4,629 passing yards. 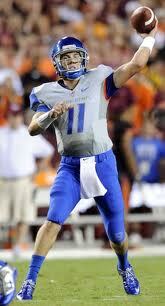 Tulsa(9-3) 24 Tulsa has a loaded quarterback in G.J. Kinne who led the team in rushing and passing.